Burton’s Planet of the Apes starring Mark Wahlberg. 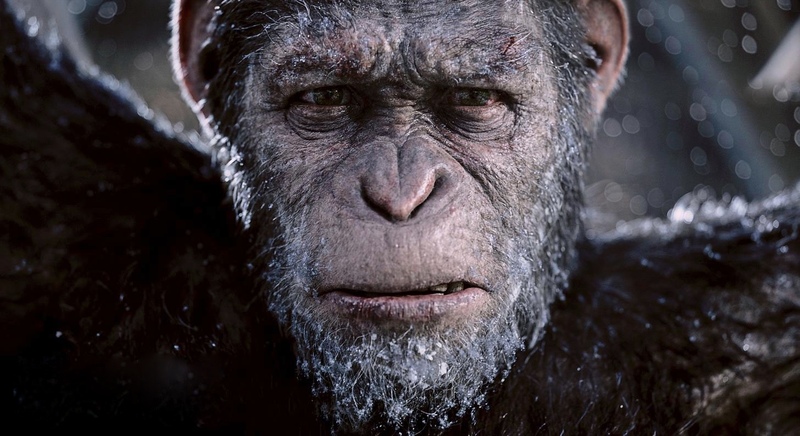 But when Rise of the Planet of the Apes hit theaters, audiences were stunned at how emotionally surprising the film was with outstanding visual effects and motion-capture work Caesar himself, Andy Serkis. The sequel, directed by Matt Reeves, took everything the first film did great and ran with it at what seemed like 400%, easily making it one of the best films of 2014. Now, from early reaction, it seems like Reeves has once again taken the best parts of the previous film and added more layers on top. Reeves returns to the director chair for War for the Planet of the Apes, which is set two years after the events of Dawn and finds Caesar and his apes forced into a deadly conflict with an army of humans led by a ruthless Colonel. But after the apes suffer incredible losses, Caesar wrestles with his inner darkness and begins his own quest for revenge. The film was easily one of 2017’s most anticipated films, but now, it’s gone to a whole new level. The first set of screenings for the film took place last week and because critics were allowed to share their thoughts on social media, mainly Twitter, they were all able to gush about the triumph that is War for the Planet of the Apes. BEWARE. If you don’t want to know any kind of early reactions on the film, don’t scroll any further. If you want to build your anticipation, keep scrolling and make sure to come back to Apocaflix! on July 14th as we’ll have our official review for the film. Starring Andy Serkis and Woody Harrelson, Reeves’ War for the Planet of the Apes swings into theaters on July 14th, 2017. I just had the pleasure of seeing #WarForThePlanet of the Apes. Jesus, you guys. Start hydrating now, you're going to need it. Wow.